Stunning, new construction Modern-style townhome, walking distance to the Grove village centerâs galleries, boutiques, cafes and bayfront parks & marinas. 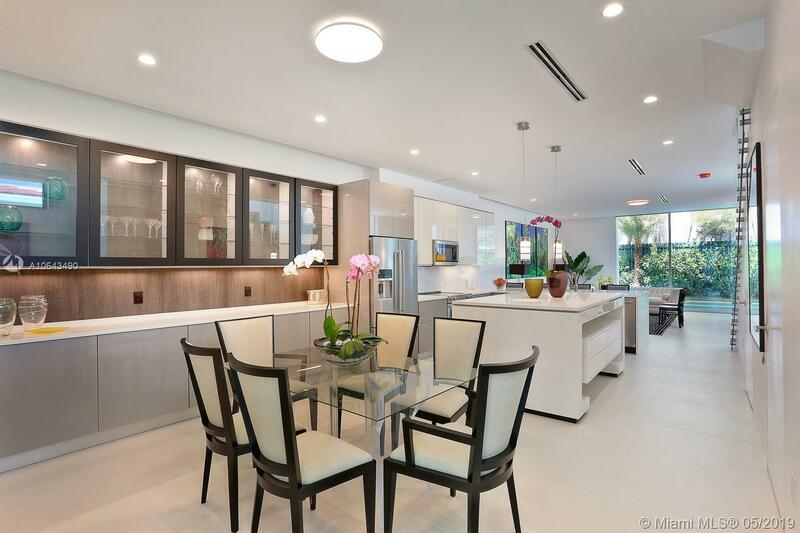 Light-filled, open living spaces w/ volume ceilings, porcelain tile flooring, custom built-in cabinetry & staircase w/ frameless glass railings, overlook the private garden & tropical pool. Expansive kitchen features European-style cabinetry, quartz countertops, stainless appliances & island w/ seating. Upstairs, 3 BRâs w/ensuite baths, including a large master suite with private covered balcony & spa-like master bath. Notable additional home features include: large roof-top terrace w/ optional 8-person Jacuzzi, LED lighting, impact glass and is âgenerator readyâ. Minutes to downtown, MIA & the Beaches.